There’s little doubt that WordPress is one of the biggest web technologies in the world, powering around a third of the web, and growing all the time. Until recently WordPress was only for the initiated, those developers who’d spent years learning how to dig into the source code and tinker, without breaking their whole site. In the last few years WordPress has been revolutionized by the introduction of page builders, applications that allow anyone—even someone with no design or coding knowledge—to create a professional standard WordPress site on the fly. Today, we’re talking about one of the most lightweight options on the market, with performance that outstrips many rival tools: WP Page Builder. WP Page Builder is the perfect tool for web professionals who want to branch into WordPress, but don’t want to hire expensive designers or developers. Thanks to its intuitive drag and drop interface, WP Page Builder allows you to quickly and easily develop websites for your, or your clients’ businesses, with none of the hassle of old-school WordPress development. There’s absolutely no need to hire a designer, or developer, to work with WP Page Builder. Simply create a page in WordPress, and drop your content wherever you want it. The real-time front-end customization means that you will see exactly what you’re coding—yes, coding, because WP Page Builder generates all the code a professional developer would write, and inserts it for you. And should you get lost at any point, Themeum’s simple to understand documentation, and friendly customer support will get you back on track. Themeum’s WP Page Builder uses a flexible row-column layout structure, which is perfect for responsive design. Flexibly add rows and columns of content, and adjust the sizing and spacing as you like. 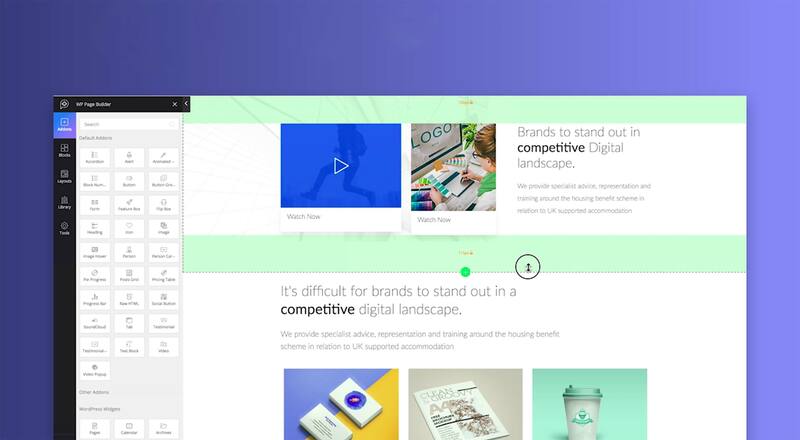 Everything you add will be flexible across all viewport sizes, so your site will look perfect no matter what device it’s previewed on. In fact, WP Page Builder features so many add-ons, you can produce just about any content you can imagine. And more add-ons are being introduced all the time. The library system allow you to design blocks within your design, and save them for reuse. Just design a section of your site, save it to the library, then access it at any time to use the same design block on any other page of your site. It’s a huge productivity gain that will help you generate sites faster, and turn projects around more quickly. 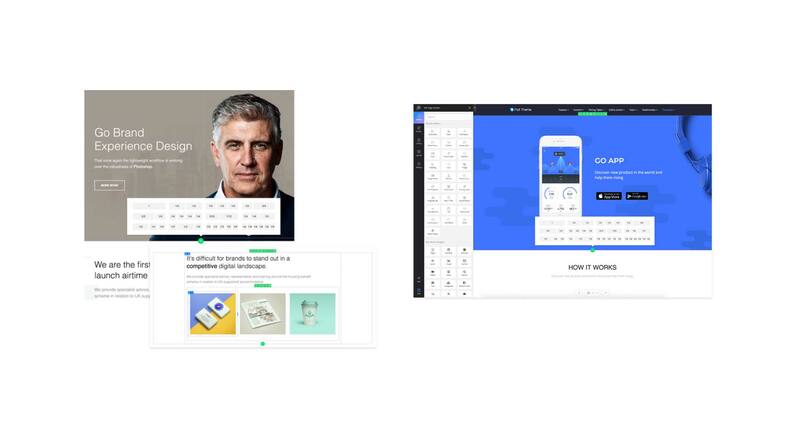 WP Page Builder includes a gamut of predesigned templates, so you can get a head-start on your build by selecting a template you like and modifying it to fit your preferences. To make your flow even faster, WP Page Builder includes a host of professionally designed blocks, ready to drag and drop into your page. Simply select the block you want, drag and drop it onto your page, and it will be ready instantly. 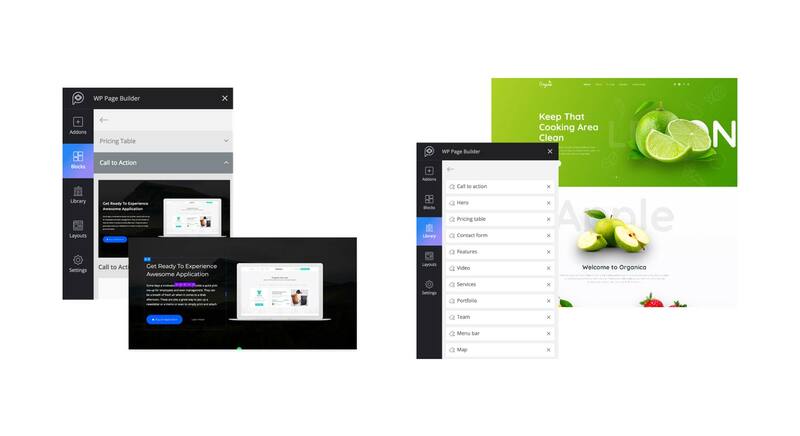 WP Page Builder’s front-end customization is even compatible with your themes—even themes from 3rd parties—so you can really boost your site development by starting with a ready-made design from Themeum, or another provider, then customize using WP Page Builder. WP Page Builder is a professional quality drag and drop site builder, with a whole heap of add-ons to keep you happy. The visually intuitive site editor, the total lack of coding, and the predesigned blocks and templates, mean that even novices can use it. With the library system for rapid builds, and the simple one-click duplication system, it’s a super-fast solution for anyone who wants to build a great website without hiring an expensive designer or developer.